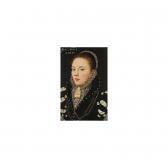 Find artworks, auction results, sale prices and pictures of Master Of The Countess Of Warwick at auctions worldwide. 112 by 81 cm. ; 44 by 32 in. 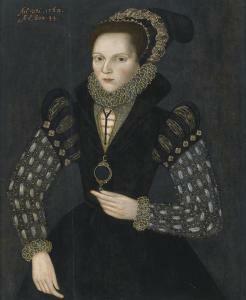 The sitter was the daughter of John Nevill, 3rd Lord Latimer andhis wife, Lady Lucy Somerset, daughter of the Earl of Worcester. 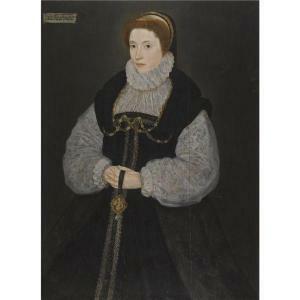 In1564 she married Thomas Cecil, son of William Cecil, later LordBurghley. 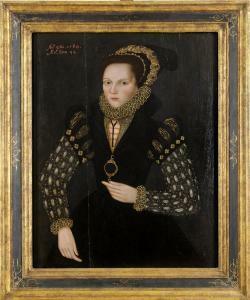 It was a cleverly arranged dynastic marriage linking theparvenue Cecils to the ancient noble family of Somerset, and herhusband was created Earl of Essex in 1605. 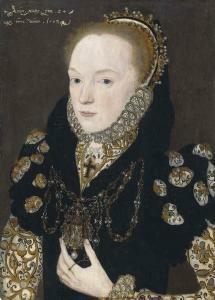 Lady Exeter died in 1609and was buried in Westminster Abbey.
. Suæ . 34 . 77.5 by 62 cm. ; 30 1/2 by 24 1/2 in.